Okay, so by this point you may all think that I'm obsessed with cats, especially after sporting this new cat sweater my mom got me from Christmas. But seriously, who wouldn't wear this? I've probably worn it 3 or 4 times since originally getting it, all with different things. It's turning out to be one of my most versatile items, which is always great. This is one of my favorite laid back ways to wear this sweater, and in a few weeks I'll show you my more "dressed up" version. Also, things have been transitioning well from my winter break at home to being back in Philadelphia. The biggest adjustment is getting used to having a cat here with me, I love having pumpkin though! It feels great to be so responsible for something and to take care of him myself. 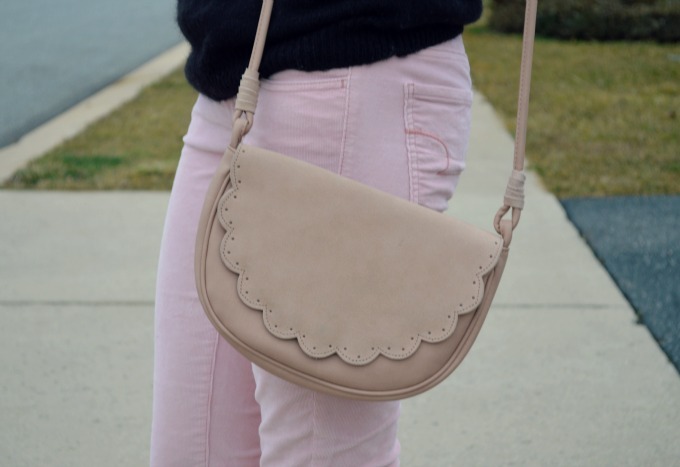 What's your favorite quirky piece of clothing that you own? Seriously love this outfit, especially the loafers! And you are too pretty girl!!! Kitty cat really suits your cute smile ^_^ meow! 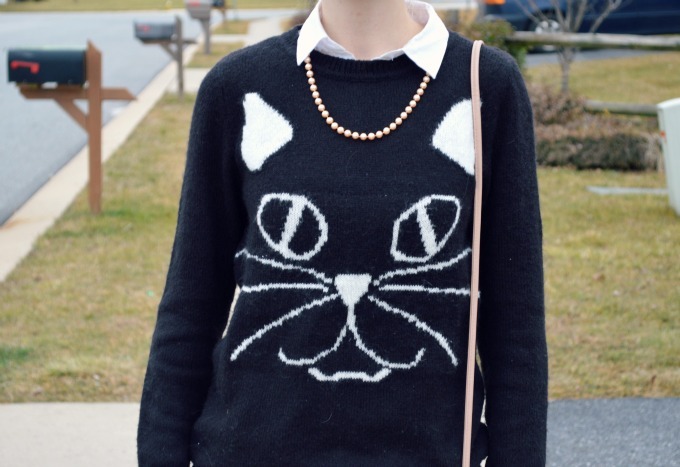 haha i am a cat lady too and your outfit is adorable! Oh my gosh that sweater is too cute! I have a polyester shirt from the 70's. That is my quirkiest piece of clothing. I love this outfit, it's so cute omg!